Hoping to write another chapter in his life, one Western icon is looking for a comeback in the Rotten Tomatoes Certified Fresh The Hero, arriving on Blu-ray (plus Digital HD) and DVD September 19 from Lionsgate. Theatrically released by The Orchard and directed by Brett Haley (I’ll See You in My Dreams), Golden Globe® nominee Sam Elliott (Best Supporting Actor - TV, “Buffalo Girls,” 1996) stars as a broken man who must face the ghosts of his past and his inevitable mortality. 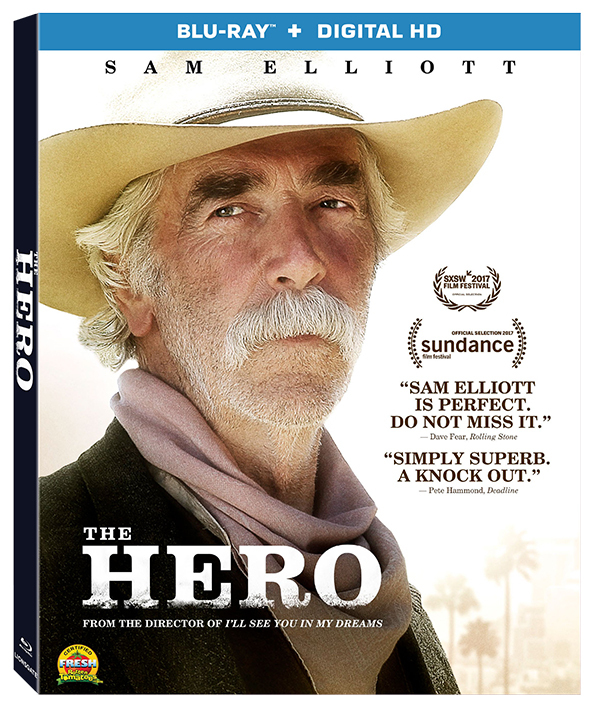 Nominated for the 2017 Grand Jury Prize at the Sundance Film Festival and New York Critics’ Choice, The Hero Blu-ray™ and DVD. 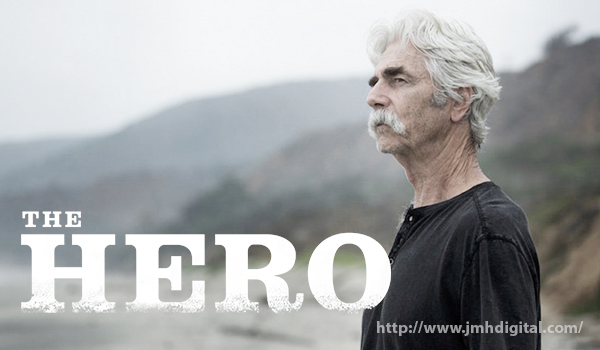 Lee Hayden (Sam Elliott) is a Western icon with a golden voice, but his best performances are decades behind him. He spends his days reliving old glories with his former co-star, Jeremy (Nick Offerman), until a surprise cancer diagnosis brings his priorities into sharp focus. He soon strikes up an exciting, contentious relationship with stand-up comic Charlotte (Laura Prepon), and he attempts to reconnect with his estranged daughter, Lucy (Krysten Ritter), all while searching for one final role to cement his legacy.